The training, itself, was a blast. It took place in this huge studio in Northern California. See the photo below! 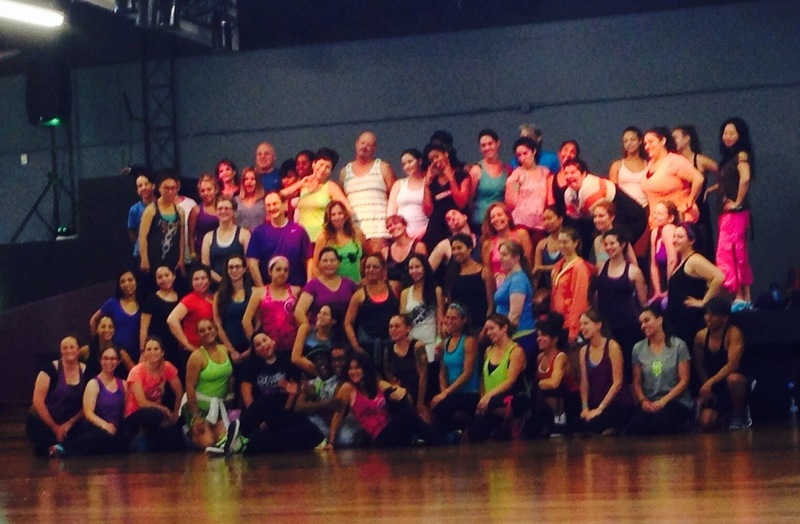 We did a lot of dancing, but also broke down moves and learned the intricacies of teaching a Zumba class in lecture. I’ve taught choreography in informal setting with friends growing up, so I already had an idea of what teaching dance is like but this was good training and learned a lot (also felt like I was back in school, which was oddly refreshing)! My meals today were more like a lot of little snacks, but still pretty substantial. I also ate at what felt like weird times, probably due to the fact that I was up earlier than usual today. For breakfast I ate Joe’s O’s, blueberries, and a banana. During snack and lunch time I drank a protein shake from Trader Joe’s (also full of fiber), half of a peanut butter and honey sandwich, a handful of nuts, carrots, a puffed rice roll and drank lots and lots of water! My dinner consisted of half of a grilled eggplant wrap (also from Trader Joe’s), a large Fuji apple, and some dark chocolate. I danced off a lot of calories today soo I won’t be at all surprised if I’m hungry again when I get home. I’m sort of thinking I might eat these roasted rosemary potatoes we made yesterday! 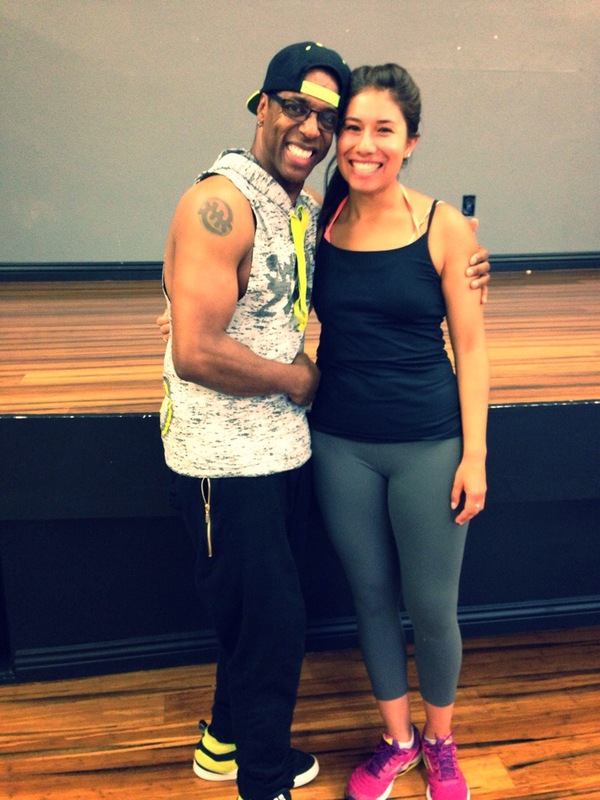 Here’s a picture of me with Pepper (he mentored Berto, one of Zumba’s founders)! Unfortunately, I didn’t get a picture with Joy (who taught most of the training) or Sonia (who also taught us a couple of dances). However, I do have a picture of the entire class with Joy and Pepper!! Now I’m just going to relax and enjoy the rest of my ride home while continuing to listen to Zumba songs. The party never stops! !